The death of Prime Minister Meles Zenawi in August in a Belgian hospital brought an end to a 21-year rule characterized by repression of dissent and iron-fisted control of the independent press. His fatal illness was shrouded in secrecy. After Meles disappeared from public view in June, the government played down rumors of his illness andsuppressed in-depth domestic reporting. The government also faced rare demonstrations by members of the Muslim community, who protested what they called government interference in their affairs. Security forces violently dispersed the gatherings, cracking down on journalists who reported on them, and forcing threeMuslim-oriented newspapers to close. 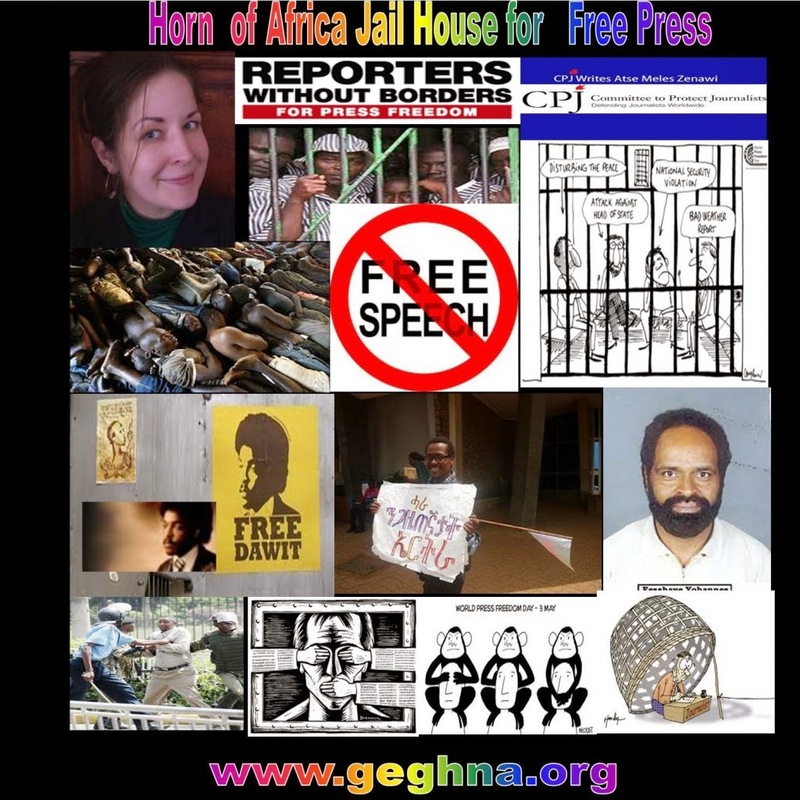 The government drew widespread international condemnation for the convictions of nine Ethiopian journalists on vague and politicized terrorism charges. The journalists, five of them exiles tried in absentia, were handed sentences ranging from eight years to life imprisonment. The government finally freedtwo Swedish journalists who were imprisoned for 14 months for reporting on separatist Ogaden rebels. Six journalists remained behind bars in late year, including award-winning writer Eskinder Nega. Nairobi, February 8, 2013--The Committee to Protect Journalists condemns the revival of criminal charges against Ethiopian journalist Temesghen Desalegn today in what appears to be a politicized court hearing designed to censor one of the few critical voices left in the country. Nairobi, February 1, 2013--Ethiopian security forces have detained for two weeks without charge the editor of a newsmagazine and accused him of incitement to terrorism, according to local journalists. The Committee to Protect Journalists calls on authorities to release Solomon Kebede immediately and halt their harassment of journalists affiliated with the weekly Ye Muslimoch Guday.